Liseli Lodge is the ideal location for your visit to Mongu. 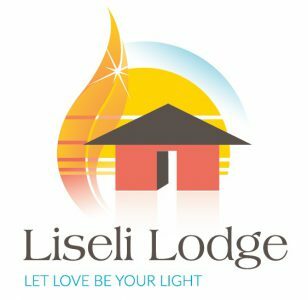 We at Liseli Lodge strive to provide the most relaxing and comfortable setting possible in Mongu. Our staff and facilities will bring a modern feel to a simple, peaceful location to ensure the highest satisfaction levels from our customers. We here at Liseli understand that, whether our customers are business people focused on work or tourists looking for a fun holiday, there should always be a strong value placed on maintaining a peaceful and enjoyable environment for all. Equipped with all essential amenities, we understand the need for everybody to have access to such facilities like; Wi-Fi, air-con, etc. so that you enjoy your stay fully with no interruptions. Brand-new buildings and facilities make Liseli Lodge unrivalled in Mongu when it comes to innovation and design. We at Liseli lodge take pride in our attention to customers. Our no.1 focus is always to maintain a happy, healthy relationship with those choosing to stay with us, for however long or short your visit. From the moment you walk through our front door until the moment you leave, we ensure to cater to your every need and hope to see you again soon. Providing the best service we can is our goal. We wish to establish a business in Mongu known for our friendly service and undeniable quality.